The latest offering from Pixar and Disney is a sure fire hit, specially to kids and adults alike. 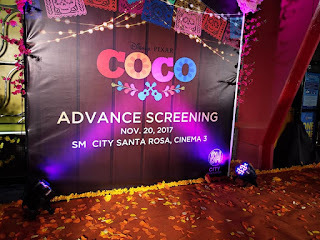 "Coco" the simple but amazing movie from Disney never fails to amuse and entertain those who attended the advance screening last Novemeber 20th at SM City Santa Rosa. This movie is the story of a young boy named -- Miguel, who in his life wanted to be a musician due to his idol who he taught has a special connection with him. Unfortunately, for his family -- music is not a good thing for them eversince, in which it has been passed on until his generation. No musical instruments or anything that makes music can distract or destroy this tradition, until Miguel decided to fulfill his dream in making music. 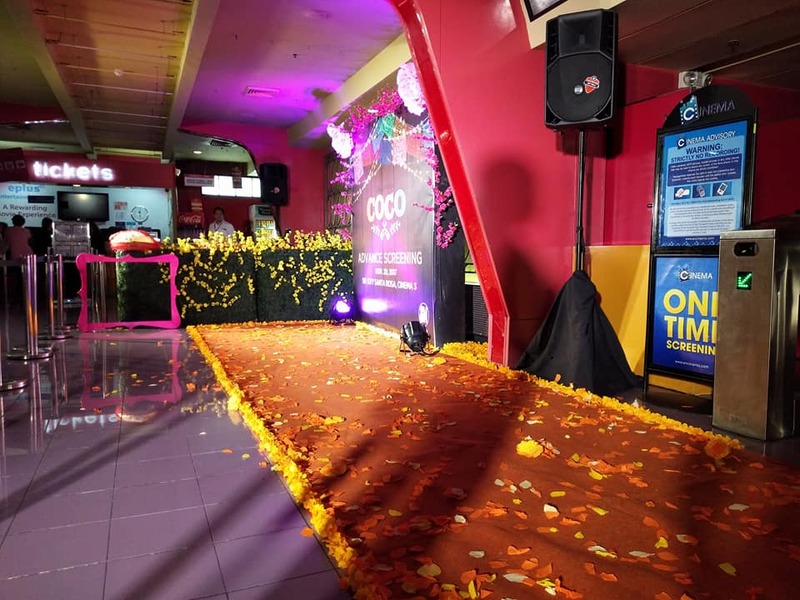 During the premiere night of "Coco", a lot of kids and their parents march their way at the SM City Santa Rosa Cinema 3, to witness the games, face painting and Mariachi Band play before the movie. 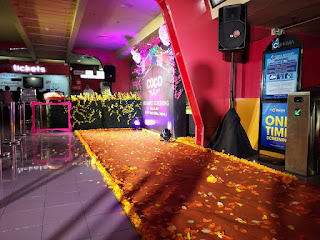 Popcorn and drink have been distributed to the guests before they enter the movie house as well. Action, comedy, drama and a whole lot of family affair have been embedded on this film, which will be showing on cinemas this November 22nd. As an addition, the soundtrack for this movie which is entitled "Remember Me" was performed by a local Filipino Artist named Inigo Pascual. 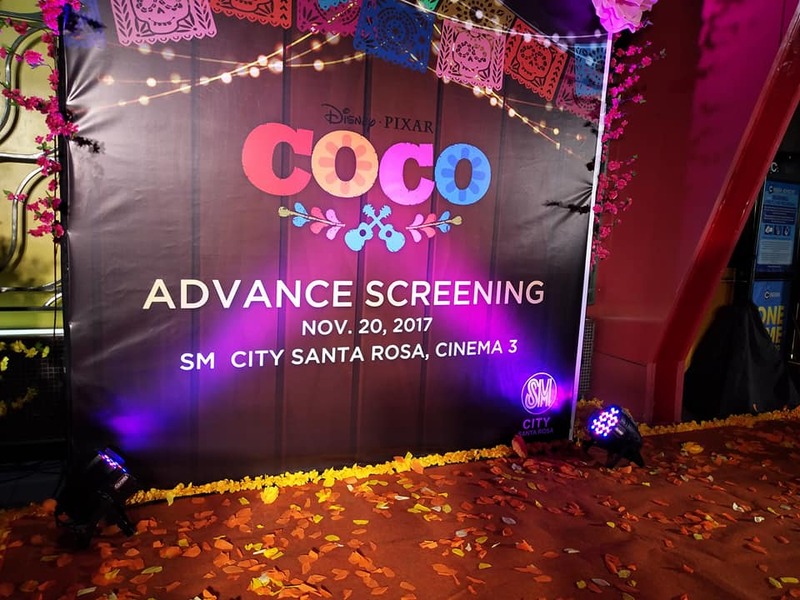 "Coco" is another masterpiece by Disney and Pixar, in which kids of all ages will surely enjoy.